January 2018: Well into the second decade of this century, the global pattern of urbanization remains wedded to governance by mayors and city leaders of differing political colours. In this biennial survey of urban political allegiances (since 2009), City Mayors examines the role of partisan politics in how mayors are chosen to lead the world's largest cities, even in what is occasionally termed an anti-political era. In our 2009 report (updated 2011 and 2014) we assessed what political characteristics, if any, were shared by the world’s biggest city governments. As we observed in this first survey, over the previous decade conservatives at national level had scored a number of electoral successes around the world, with many citizens identifying with messages on security, leaner government and lower taxes  yet, back then, many of the world’s largest and most prominent cities were still governed by mayors by progressives or the centre-left. As noted back then, many of these had learned and keenly applied personal branding through the office of mayor as a tool of the trade in order to get things done and remain electable. Fast forward to the latter half of this decade however and conservatives remain in many countries the natural party of government, consolidating their grip on power as the fortunes of social democrats recede. 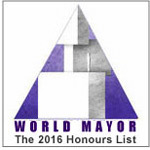 It is against this backdrop, where national governments are often dubbed as unresponsive or gripped by paralysis, that mayoral governance has come to the fore, with political recognition and even a so-called 'Global Parliament of Mayors' to accompany this. Whether this is a peak or tipping point remains to be seen, but most western governments at least continue to advocate forms of decentralisation to meet the demands of good governance and manage electoral expectations, not least as nation states contend with the constraints of globalisation. So then, what does the latest data tell us. Firstly, few mayors elected in the 00s remain in post, as for that you would have to visit either Caracas, Istanbul or Helsinki, though both Sydney and Melbourne's Lord Mayors are still going strong (elected 2004 and 2008 respectively). Elsewhere in the southern hemisphere, 2016 was Labour's year in New Zealand as it took both main city mayoralties in local elections. Elected in 1994, Michael Häupl of Austrian capital Vienna remains the longest serving city leader on the table however. Europe recorded a number of minor upsets to the established order since the last survey also, beginning with the left coalition takeover of Oslo City Council in 2015 which saw the nationally governing Conservatives exiting the city hall and Labour's Raymond Johansen taking office. 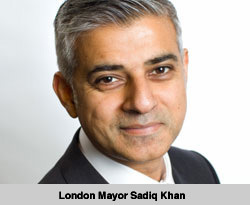 London gained Europe's first Muslim mayor of a capital city in the form of Sadiq Khan, who retook city hall for Labour after an eight year absence. Not all gains were for the left however, as a corruption scandal in Rome saw Ignazio Marino of the Democratic Party forced to resign, with his successor Virginia Raggi taking office on behalf of the populist Five Star Movement (which claims no position on the right/left spectrum). The bigger story here is perhaps the clean sweep witnessed in Latin America of parties of the centre-right, while in Brazil the problems faced by the erstwhile governing Workers' Party continued to be compounded this year with the loss of Sao Paulo (where it was founded) and the continuing breakthrough of religious populist parties in other strongholds. Elsewhere, in South Africa the best-ever showing for the liberal opposition Democratic Alliance this year saw it take control of Johannesburg this year in the form of Herman Mashaba, while in 2015 liberal Mohammed Sajid ended his tenure as mayor of Casablanca and was succeeded by an Islamist. Bangkok's Sukhumbhand Paribatra, also a liberal, was removed from office this year by the country's ruling junta on unspecified corruption charges and replaced by an appointed police chief. 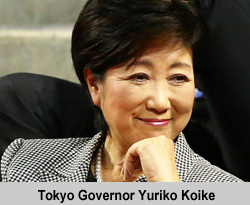 Also falling foul of corruption allegations in 2016 was Tokyo's Yoichi Masuzoe, replaced in the ensuing special election by former cabinet minister Yuriko Koike, nominally representing her former centre-right governing Liberal Democratic Party in the capital. She since founded her own 'Tokyoites First' party with the aim of securing more allies in the city assembly, then the national Party of Hope, at the expense of Japan's ruling party.